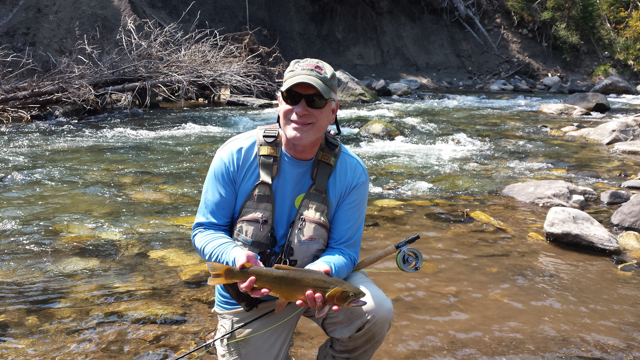 Dan Challa sent in this great pic of himself sporting the Mangled Fly Performance Shirt and a beautiful cutthroat from his recent trip to WY. Thanks for sharing Dan looks like a great trip. Just goes to show: even a blind squirrel finds a nut once in a while.